A rare and valuable assemblage of US Mint collectibles owned by the Eckfeldt Family will be the centerpiece of a special exhibit at the Whitman Coin & Collectibles Expo held at the Baltimore Convention Center from October 30 to November 2, 2014. 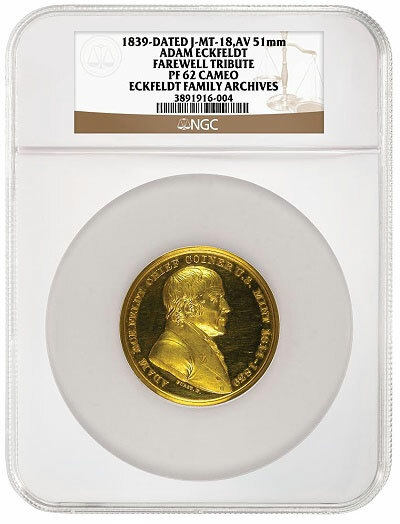 The Eckfeldt family helped shape the coinage of the United States before the country even existed and went on to hold key positions at the United States Mint for 137 years under no less than 31 American Presidents. During this time the family would maintain their own archive of coins, medals, and documents, which would form the basis of the Eckfeldt Collection. In 1783, John Jacob Eckfeldt made dies for coins to be issued for coins authorized under the Articles of Confederation. He would late become a contractor to the Mint of North America and the first United States Mint. Jacob’s son, Adam Eckfeldt would be even more influential in developing the coinage of the United States. He built the Mint’s first screw press; made the dies and struck the first ever U.S. coin – the 1792 half dime; redesign the first cents; and engraved the first half cents. 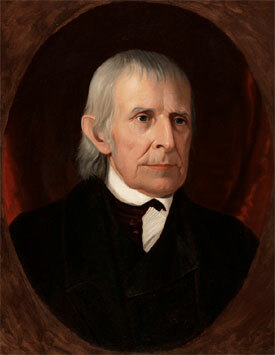 He later served as the second Chief Coiner of the Mint from 1814 until 1839. Even after officially leaving the post, he continued to perform essential duties of the office until a few days prior to his death in 1852. During his tenure as Chief Coiner, Adam Eckfelt had set aside important or interesting coins brought into the Mint as bullion, which became the Mint’s Cabinet. This collection would eventually evolve into the National Numismatic Collection, which now contains 1.6 million objects and more than 450,000 coins, medals, and decorations. Subsequent generations of Eckfeldts would hold positions at the Mint including Chief Assayer, Curator of the Mint’s Cabinet, Foreman of the Coining Room, Clerk to the Director, another Chief Coiner, and even Night Watchman. The Eckfeldt collection has been consigned to Tangible Investments. The Eckfeldt Family Archives are to be auctioned on eBay. The Whitman Coin & Collectibles Expo includes more than 1,000 dealers, interesting exhibits, and numismatic presentations. It is free to the public.